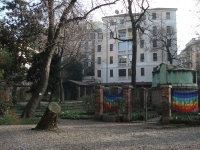 Milan's attractions extend far beyond its fame as a fashion capital: there are many museums, cathedrals and galleries to visit, as well as the Milan Aquarium and the Orto Botanico di Brera gardens. The best time for sightseeing in Milan is spring, early summer, or autumn, when the weather is warm and sunny. The Galleria Vittorio Emanuele II arcade is a popular place to relax over coffee, while La Scala is a world-famous opera house worth visiting, with a great museum for those who can't get their hands on tickets. 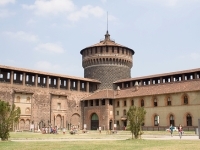 The 15th-century Sforzesco Castle's Museum of Historic Art is also a major Milan attraction, as is the Gallery of Modern Art. The Pinacoteca di Brera exhibits collections of medieval and Renaissance art, including the work of Napoleon. 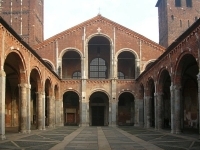 The Santa Maria delle Grazie is home to Leonardo da Vinci's famous painting, The Last Supper, and the Leonardo da Vinci National Science & Technology Museum has a collection of his designs for war machines and architecture. Duomo, which is the world's largest Gothic cathedral, and the Basilica of Sant'Ambrogio, built in the 1st century, are landmark Milan attractions. The Naviglio Grande is the oldest canal in Milan, built in the 12th-century, and stretches between the Darsena of Porta Ticinese and the bridge of Via Valenza (itself particularly drenched in old world charm). Along the canal's banks in this section, about 400 vendors gather on the last Sunday of every month to set up stalls selling a fascinating selection of furniture, clocks, porcelain, silver, jewellery, dolls, books and numerous collector's items, from comics to walking sticks. On market day the adjacent shops, bars and art studios all remain open, adding to the pleasure of browsing.